Low-income residents demand accountability from NYCHA. Ordinarily, if you’re a renter, when the pipes are frozen or the elevator breaks, you probably call your landlord to get it fixed. If your landlord is the City of New York, you better have your lawyer on speed dial. Having to go to court to repair your bathroom isn’t the way it’s supposed to work, but that’s the level of desperation that led the tenants of DeWitt Clinton Houses to sue the city earlier this month. 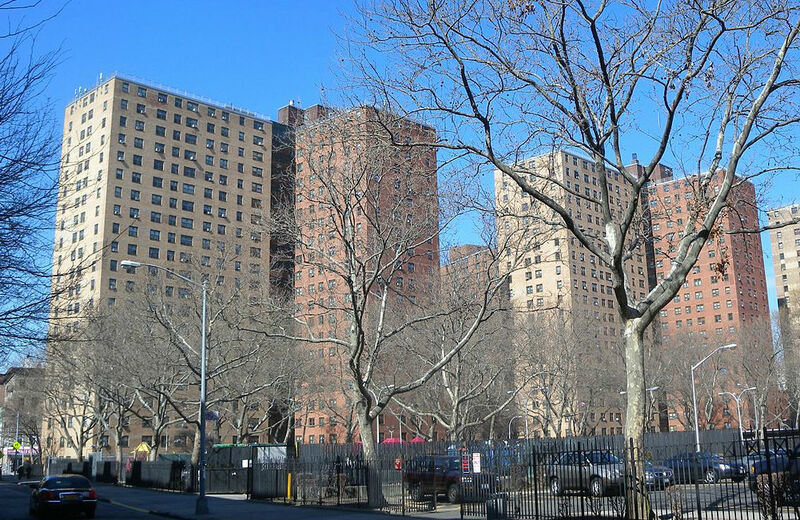 The complaint accuses the New York City Housing Authority (NYCHA) of massive negligence, which has resulted in disrepair that pose a public health risk and represent a systematic indignity against the city’s poorest communities. The suit, litigated by the Urban Justice Center’s (UJC) (disclosure: where I previously volunteered and interned), details grim conditions at the Lexington Avenue complex: “serious leaks, mold, and disintegrating plaster on walls and ceilings”—along with security hazards such as a broken intercom. Meanwhile, dust and mold loom in the bathroom of Patricia Puchades’s apartment, which aggravates her respiratory problems “due to lack of adequate ventilation,” according to the suit. While she awaits repairs, amid a broken smoke detector and exposed electrical outlets, she now requires a homecare aide for housekeeping help, and she is plagued by panic attacks. Superstorm Sandy aggravated the substandard conditions; even now, many households remain scarred by storm damage and broken boilers. As of June 2014, NYCHA reports it is whittling down its backlog, down to around 80,000 from a high of more than 400,000 in early 2013. But the UJC is suing to push the city further toward a comprehensive overhaul, wary that the statistical drop may count cases that were generally addressed, but not necessarily completely fixed. Meanwhile, following a legal settlement with advocacy groups, NYCHA has promised to address backlogs for repairs to hazardous buildings and reduce wait time to about one or two weeks. But for complex work orders, like plastery or carpentry, residents can still expect to wait several weeks or months. And the agency still faces a budget deficit of $77 million to $87 million. For residents like Patricia Puchades, her broken apartment is forcing her to choose between her being a grandmother and protecting her family’s health, pushing her grandchildren away from the walls rotting around her.